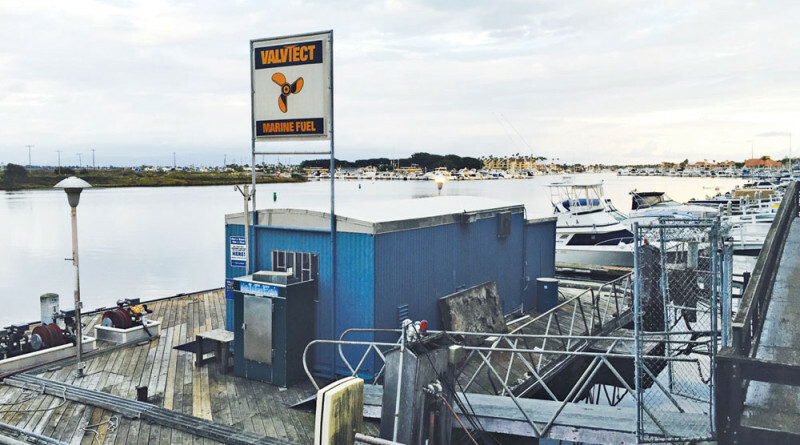 HUNTINGTON BEACH — The future of Huntington Harbour’s sole fuel dock is still in the dark after the fueling station’s ownership group carried through with its plans to shut down Mariner’s Point on Oct. 1. City Council members hoped to find an amicable solution to keep the fuel dock operational for local boaters beyond the Oct. 1 closure date; however, a compromise with the fuel dock’s ownership group was not reached resulting in Huntington Harbour boaters left to fuel up their vessels at filling stations in Long Beach, Newport Beach or San Pedro/Wilmington. “The city has worked diligently over the last several months to come up with an acceptable plan to keep the docks open. We are very disappointed with this unfortunate outcome as pending solutions were in action,” a formal statement issued by City Hall earlier this month stated. Mariner’s Point was the subject of a closed session item on the City Council’s Oct. 5 agenda. The final outcome of the agenda item has not yet been announced publicly or released to the press. The Log was in touch with Huntington Beach city officials but an update of the fuel dock’s status was not provided prior to press time. The City Council’s Oct. 19 agenda did not include any items dedicated to Mariner’s Point. David Beek of Island Marine Fuel in Newport Beach said he assumed the dock in Huntington Harbour was still closed as of Oct. 19. The closure has not resulted in more boaters visiting his fuel dock, he said. “We have not seen any significant business from the closure. Just the same Huntington Harbour boats as normal,” Beek said. Huntington Beach’s most recent update to the public on attempts to retain a fuel dock at the county-managed harbor was on Oct. 2 when the update stated the city sought to keep the fuel dock open through Oct. 15 but the request was denied by Center City Properties, one of the two partners who owned the boat fueling station. City Hall reportedly sought a new fuel dock operator by filing a Request for Qualifications on Sept. 30. The RFQ solicitation was kept open through Oct. 9; city officials have not yet announced whether any bids were submitted or if a vendor was selected. The city urged the local community to contact Center City Properties and urge the company to make every effort to keep Mariner’s Point fuel dock open. Nahas Properties was the second partner in the Mariner’s Point ownership group.